Our friends at Dead Zebra created two new Android collectibles – yes, outside of the Series 04 box they just released – that would look brilliant on your X-mas tree. 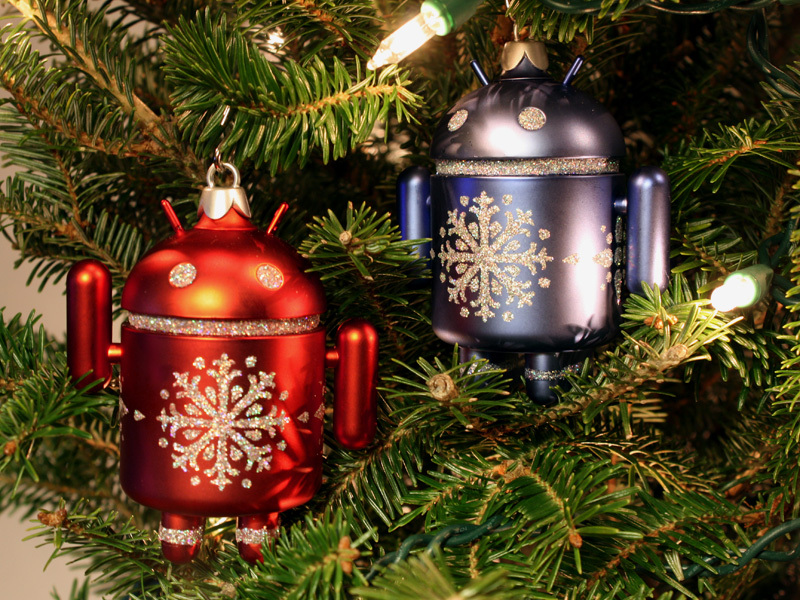 Pictured above and below (in tree), you’ll see both a red and blue Android mini called “Ornamental” that is colored in matte metallic with silver glitter. In the box, you’ll also find an ornament topper insert and a small metal hook to attach these to tree limbs just like the rest of your ornaments. Ornamental Android will be sold individually for $10 each at a limit of 2 pieces (one red + one blue, or two of one color). If you want more than two, there will also be a limited quantity available in a special 10-piece “Tree Pack” that contains 5 red and 5 blue ornaments for $90. As always, quantities are limited. Ornamental and the “Tree Pack” go on sale Tuesday, December 10th at 8AM Pacific (11AM Eastern) and again at 8PM Pacific (11PM Eastern). For those not good with dates, that would be tomorrow. You can find them in the Dead Zebra shop. Cheers EvanTheGamer, Scott and Artur!